Larry Rankin enjoys giving honest assessments of products he uses. He especially enjoys promoting products he believes are of quality. Why an Electric Meat Smoker? Before I begin with the product review, I first wanted to address the topic of why electric smokers have become so popular of late. 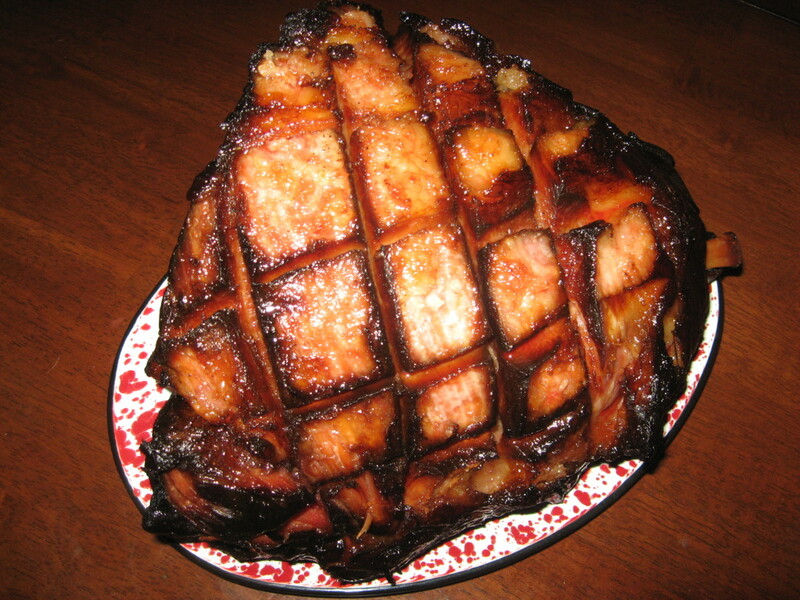 For starters, smoked food is delicious, whether it be meats, veggies, cheeses or even desserts. Pretty much any food you can think of, there is a way to make it taste better with smoke. Yet despite the wonderful taste, most folks shy away from doing the actual smoking process themselves. One of the reasons for this is that traditional smokers can be tricky. 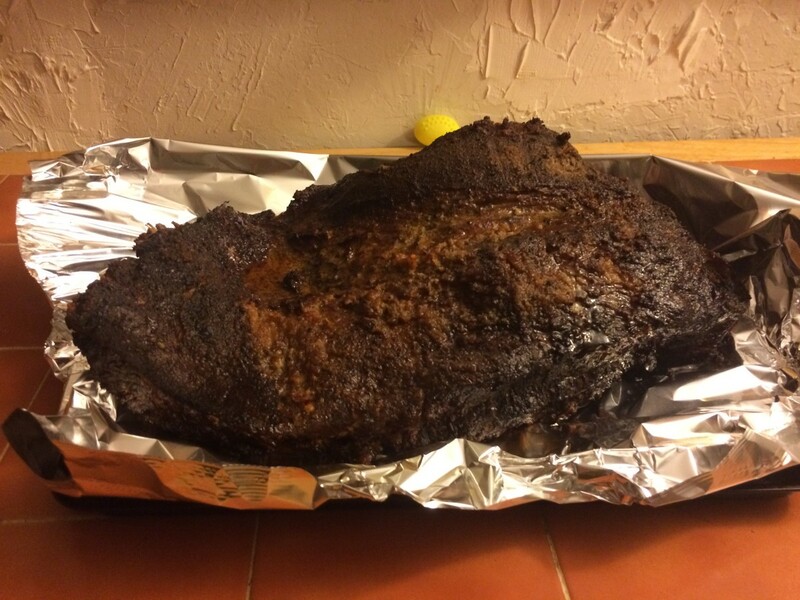 When we’re working with a fire we stoke, we constantly have to monitor the temperature, and this can be downright demanding when you consider that some foods, like brisket for example, are traditionally cooked in excess of 12 hours. Smoking foods is fun, but do you really want to spend that much time vigilantly monitoring a fire? Do you really want to spend 12 to 24 hours preparing a meal only to have a flare up 15 hours in ruin it? Or let’s say you smoke some ribs for 15 hours and they turn out perfect, are you going to be able to replicate that same dish later? For the purest the answer to all the above questions is, Well, that’s the heart and soul of the process, the art of smoking. Though that is an attitude I can respect in principle, I’ve never been an artful cook, and I prefer consistency, and so do many others. And that’s where the electric smoker comes in. I’ve heard folks go as far as to call the electric smoker “cheating.” I don’t know about that, but I do know in the inconsistent world of cooking, the electric smoker offers an absolute stability that is reassuring for even the most timid chef. A good electric smoker will flare up very little. The temperature in an electric smoker is monitored constantly by the machine, so let’s say you set it at 225 degrees Fahrenheit, the temperature will likely not vary more than 5 degrees up or down throughout the entire cooking process. With an electric smoker it’s all just so dang foolproof and consistent. Let’s say, for instance, you smoke some prime rib on an electric smoker and it turns out perfect: do the exact same thing next time and it will be perfect again. Let’s say it didn’t turn out quite how you like. You have the reassurance of knowing you can easily adjust the cooking process in a way that is exact until you find the perfect formula. Over the course of the day you don’t have to monitor the food constantly. 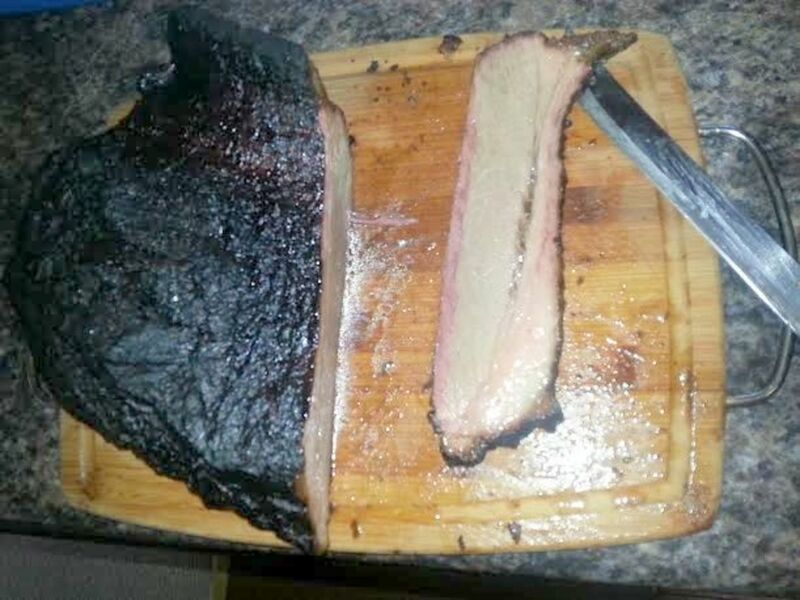 You never even have to open the smoker unless it is a food you need to turn halfway through. Just have a meat thermometer fed through the vent and wait for it to read the desired temperature. The only part of the process that requires a bit of vigilance is making sure the heating mechanism is fed with wood chips as needed, but if you splurge for a smoker that has a timed electronic hopper, you don’t even have to do that. And even if you forget to add wood chips as often as necessary, the electric smoker still continues to cook the food as a traditional oven would. Really, even if you’re quite absentminded about adding wood chips, as long as they are present for at least an hour or so during the cooking process, the difference in the end result regarding smokiness will be fairly negligible. In addition, traditional smokers are more of a fire hazard than their electronic counterparts. 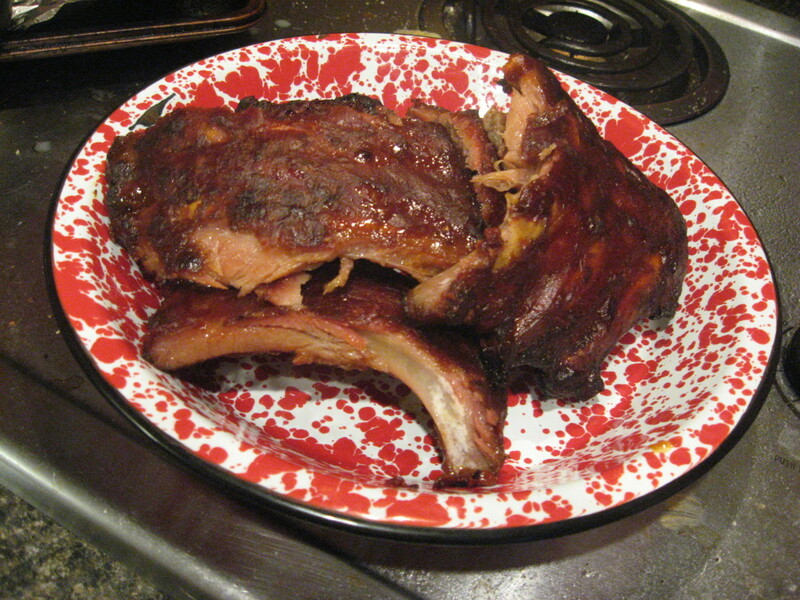 A good electric smoker doesn’t even get very hot to the touch on the outside. I know I’m not going to change the mind of any of you traditionalists out there, but for the rest of us, these are just a few of the reasons for the recent electric smoker craze. 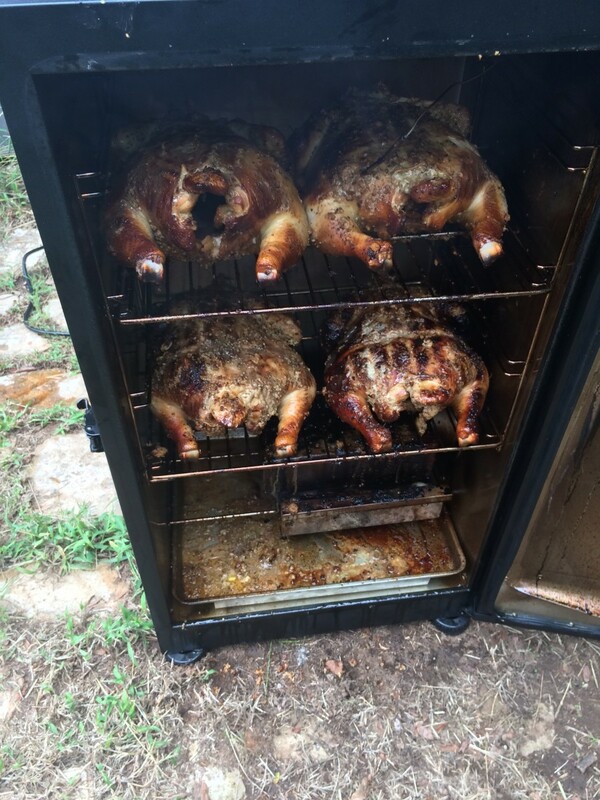 Why the Masterbuilt 30” Electric Smoker? The short and sweet answer to the above heading is that it’s the “cheapest” and that’s what people want, the best bang for their buck. Now if we want to get technical, the actual connotation of the word “cheap” is negative, so the better alternative word is “value.” Is the Masterbuilt 30” Electric Smoker a value? The short answer to that is definitely! It is not without fault, though, and over the course of this review I will point out the shortcomings of this particular model, but in doing so, it should be understood that this Masterbuilt smoker costs anywhere from $180-220, depending on how good of a sale you can find. Many of the smokers that correct the insufficiencies of this Masterbuilt are in excess of $1,000. I don’t know about you, but though I’d love to have a $1,000 model, a version for less than $200 that is almost as good is more in line with what my budget will bear. In addition, the few electronic smokers that are in the price range of this Masterbuilt, at least the ones I’ve had the opportunity to look at, aren’t as good or quite as well priced. The Masterbuilt 30” Electric Smoker comes almost completely assembled. 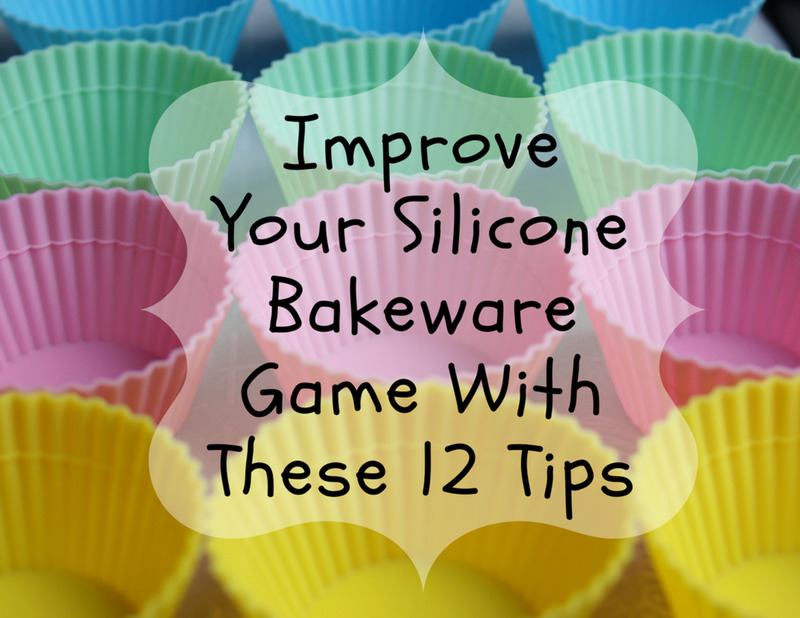 Just add a few screws, remove some packaging materials, go through the seasoning process, and you’re ready to go. The unit looks almost exactly like a mini-fridge, so much so that one could easily mistake it for one. There is a small pipe in the lower rear of the unit where excess fat drippings can escape into a catch pan and an inconspicuous vent on top where excess smoke is released. With exception of these two outlets, the unit is entirely sealed while it smokes. The wood chip feeding system is on the side. As wood chips are needed, you pull out this feed system, load it with a handful of chips, fit it back in it’s opening, twist it, and gravity allows the chips to fall into the heating mechanism. The removal of this chip scoop also provides the hole to monitor your wood chips and determine if more are needed. At first I thought this would be difficult, but it is actually quite easy to monitor your wood chip levels through this opening. 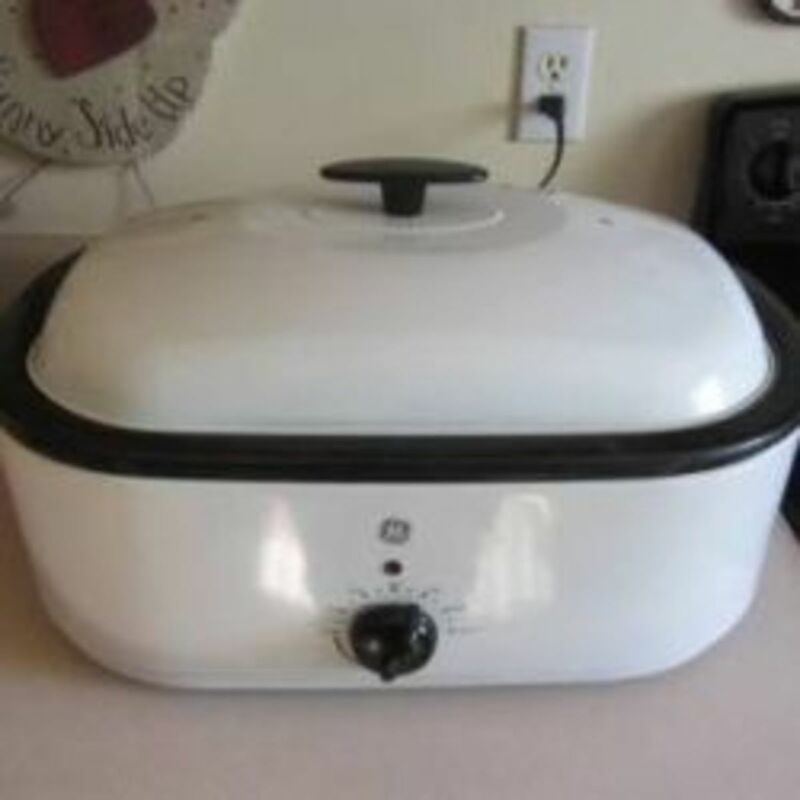 The inside of the unit has several food racks that can be adjusted, a pan that can be filled with water or beer or any desired liquid to moisten the food as it smokes, and a drip-pan that catches fat and feeds it through the tube out the back. And of course there is the box for the heating mechanism. The wood chip holder detaches from this box so that it can be cleaned after usage. In short, that is the simple and effective design of the unit. Again, I highly recommend this product, but let’s start with a list of things that need improved on the Masterbuilt. Not Enough Rack Settings: This is by far the largest shortcoming of the Masterbuilt 30-inch Electric Smokehouse. There are only a few height settings for the racks, and because foods come in all different sizes, this doesn’t make for as versatile a cooking space as one would hope. Ideally there would be ratcheting height adjustments attached to rails that would allow for custom height settings. Should be 30” Wide, Not Tall: A minor inconvenience, but if the cooking space were wider rather than taller, it would accommodate about any cut of meat without having to do additional cuts. Box for Heating Mechanism Gets Filthy: This is a particularly difficult engineering problem to overcome. Heat rises, so the heat source is most efficiently placed on the bottom. But fat drippings obey gravity. If there were a way that the heating box didn’t have to be between the rack and drippings pan, it would make cleanup a little easier, but I don’t know how that would be done. Susceptibility to the Elements: This is actually a problem with all electric smokers I’ve looked at. While a good traditional smoker is all but indestructible, the wiring and gadgetry on an electric smoker require that it be stored after use, which is somewhat annoying. While one can invest in a tarp, the best answer I’ve seen is to build a little smokehouse to shield the machine from outside forces. I overwhelmingly approve this product. The design does everything it is supposed to. Here are a few reasons why I love this smoker. Price: And it all comes down to money. I was not able to find a single electric smoker within $100 of this one that was anywhere near as useful and versatile. 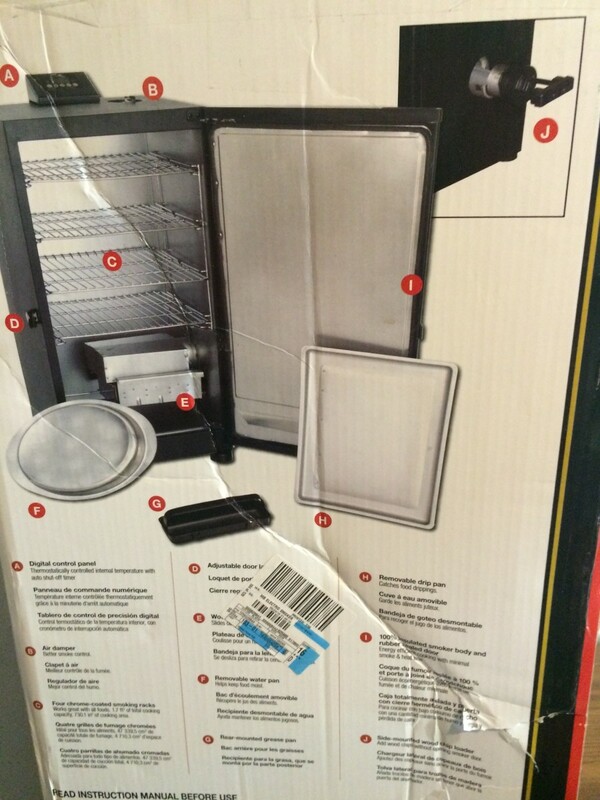 I almost bought a $300+ smoker that had a window instead of this model, until it was pointed out to me that windows are useless with a smoker that produces smoke. Basically you would just be staring at smoke. Cleanup: Despite my complaint about having to clean drippings off the heating box, the cleanup is extremely easy compared to say a traditional grill. Heating Mechanism Works Great: In researching electric smokers, I’d heard some talk about them having a tendency to come up short on heat production. The Masterbuilt 30-inch Electric Smokehouse does everything one would ever need for smoking. First of all, you don’t ever really need it to get all that hot. The idea of smoking is low and slow, so basically just getting the meat to a safe temperature for consumption over a very long period of time. The Masterbuilt easily gets to 250 degrees, and I think it would get much higher, but I’ve never had a situation where that was necessary. As far as holding a temperature, with or without wood chips, once the Masterbuilt achieves the desired temperature, it only varies about 5 degrees up or down throughout the heating process. Consistency: Once you get a recipe how you like it, cook it the same way every time for the exact same result. Especially when cooking for a group, it is so much less stressful knowing you have absolute consistency with the food produced. It also makes it much easier to experiment when all variables are so well controlled. Overall Design: Besides the few spots where heat and grease must escape, the Masterbuilt 30-inch Electric Smokehouse is sealed up and safe. Outside surfaces only get mildly warm. Fire is well contained. The whole system is fairly easily transported for smoking at different locations. 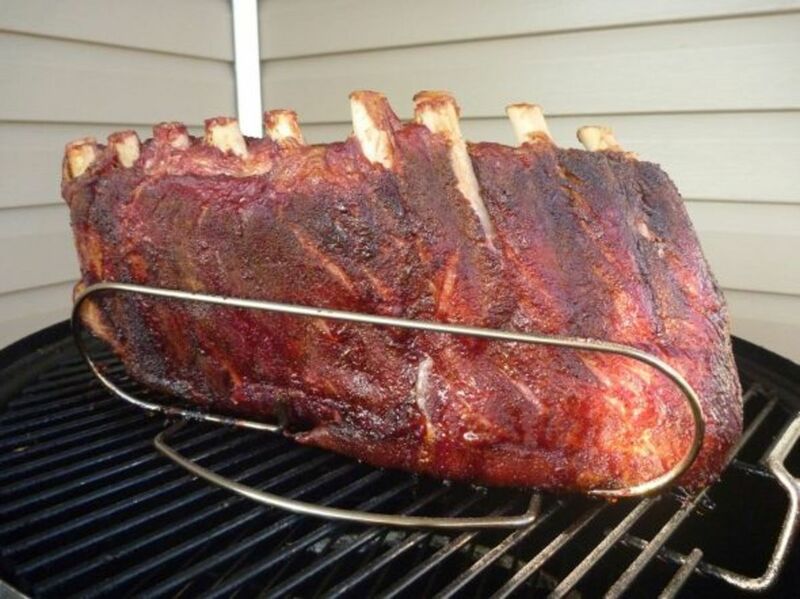 Even though it could be bigger, this smoker will easily cook enough meat for a party of 30. 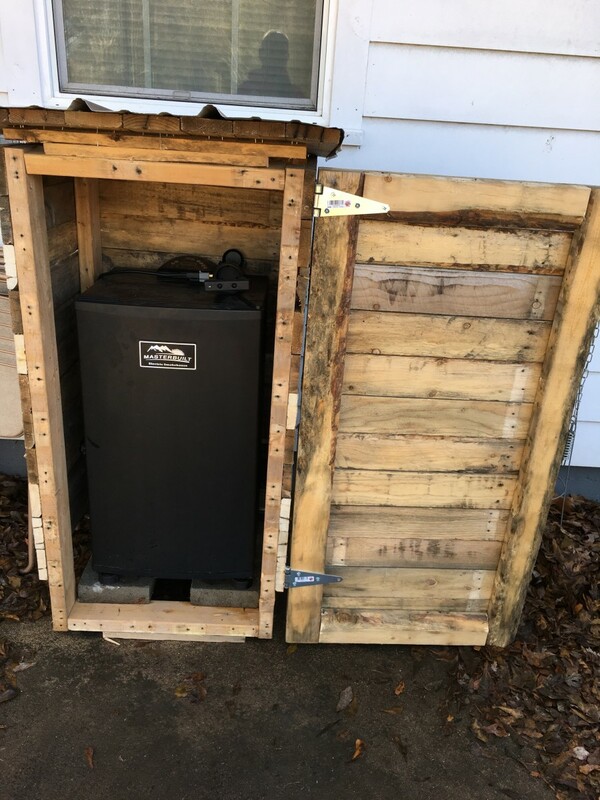 I mentioned a few small changes that would improve the Masterbuilt above, but these pale in comparison to all the positive attributes of this smoker at this price. I’m not a guy who is real big on stuff, but the Masterbuilt 30-inch Electric Smokehouse is a purchase that I have more than got my money out of. It is a great enjoyment to me to get a good deal on a large meat purchase, smoke all of it, and give it out to family and friends. 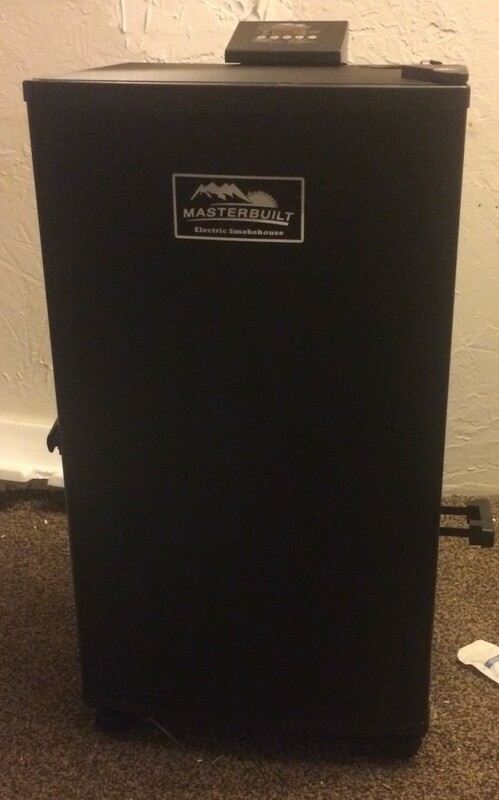 Many of my friends have followed suit and purchased the Masterbuilt 30-inch Electric Smokehouse for themselves. There have been no major complaints, and I don’t think there is anything quite more comforting than homemade food from people who care about you. And though I have been thinking about investing in a fancier smoker at some point, possibly even a traditional model, I never would have had the confidence to move on to a high-end smoker without the Masterbuilt 30-inch Electric Smokehouse as a starter. In addition, I highly doubt the Masterbuilt 30-inch Electric Smokehouse will ever not be part of my regular smoking rotation. Glenn: beer isn't flammable. It's fine. I've used it. As for liquor, I really don't know. As long as it isn't in contact with flame, I would guess it would work. Can I smoke me some poke sallet? I've never attempted such culinary feats as those attempted here, but it looks delicious. I am but a one trick pony, but your versatility as a human being continues to amaze me. Val: sorry for the misunderstanding, but as is, this model is for smoking inside, though you don't have to spend much time with it if it's extremely cold out. Otherwise your home would be very smoky. In order to smoke inside, you still need some matter of attachment to divert the exhaust outside. One of the main reasons I always enjoyed barbequed meat is its smoked taste. This Meat Smoker sounds like a great idea for winter months in Canada when outdoor BBQ is out of question. A great article, Larry. Gilbert: it does take a bit of patience, but that said, it doesn't take much effort. Interesting article on an alternative method of cooking meat, Larry. The smokers are great for those who have the patience to use them. Great review. I want one. 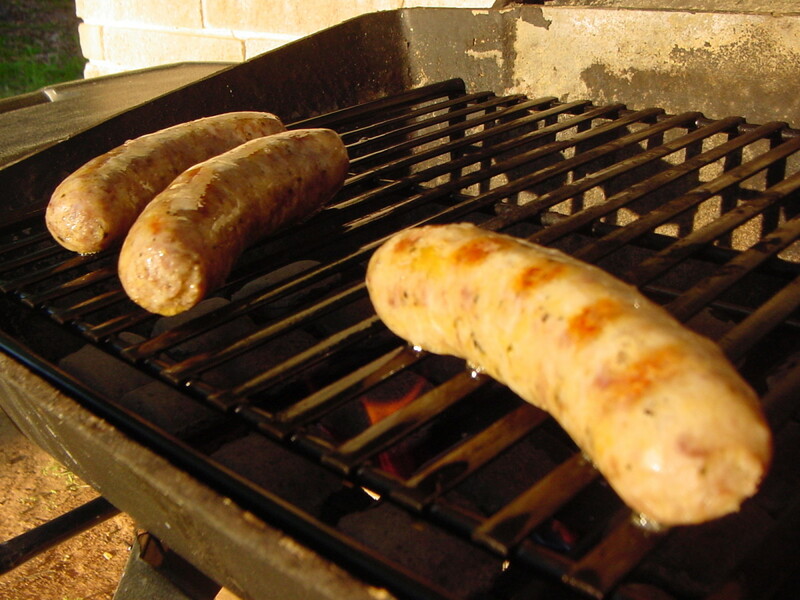 Flourish: it does permeate the neighborhood with a nice smell, smoking foods even more so than conventional grilling. I'm glad it closes up tight, because all the neighborhood pets tend to come by and investigate. This product review was top notch, Larry. I like that you included both sides, your own photography as you always do, and you improvised by building a housing unit for your new acquisition. It looks like a feast at your house. It does raise a problem, though, and that's how to get rid of the neighbors who want to help you taste test! I bet the wonderful smell wafted and made them jealous. Alicia: I haven't done it personally, but you absolutely can smoke desserts. It depends what sort of dessert you're smoking, but often times it's handy to use a handheld cold smoker for this, especially for adding a smoked flavor to dessert items that have to stay cool, like whipped toppings. Thanks so much for dropping by. I always enjoy hearing from you. This is a great product review, Larry. I like the fact that you've included so many details about the smoker and that you've described both its benefits and its disadvantages. I found it especially interesting to read that some desserts can be smoked. I've never thought of doing this. Bill: thanks for dropping by. I know it's a cliche, but if you buy a smoker and use it a lot, it pays for itself. Sallybea: I tend to smoke meats, but you can smoke any food if you're not a big meat eater. Paul: I've really enjoyed the ease of the electric, but I've been wanting to use a traditional method. Every method has its place. You're right about only charcoal being charcoal, but you just can't beat the electric for convenience. I find the electric smoker to deliver a lot of smokey flavor, but it doesn't taste the same as the smoke flavor when you use charcoal. We can't afford this sucker but I do want to build one this summer, so thanks for the reminder. It's now on my to-do list. Great product review. I love that you included the pros and the cons of this electric smoker. I am not a big meat eater these days but do appreciate the taste of smoked meat. It takes me back to when I lived in a warm country where having a barbeque or a 'braai' was the norm. 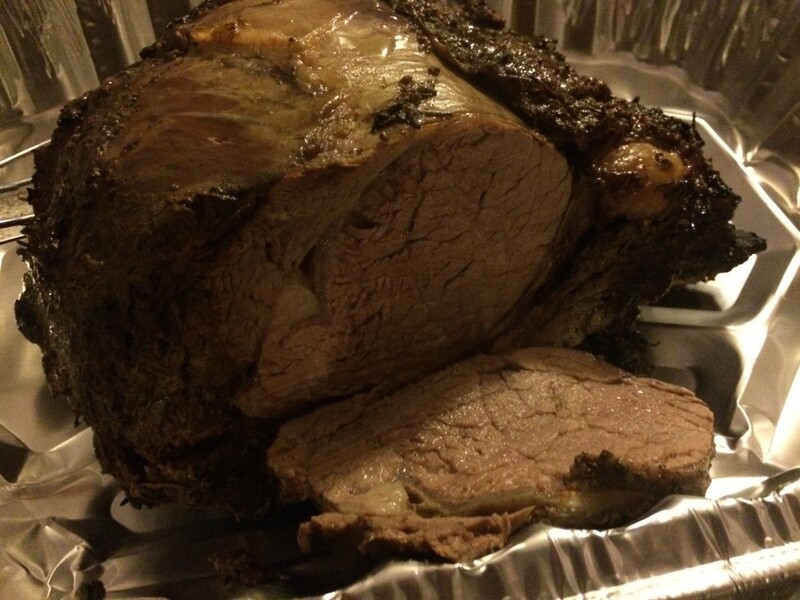 That prime rib looks amazing! I've always felt the electric smokers were really good, but using chips over charcoal resulted in less smoke flavor. I probably just needed to replenish the smoking chips more often.